Assemblyman Mark Stone has introduced a bill, AB 2415, which would allow employees to record and enforce a lien on an employer’s property when allegations are made of unpaid wages. The lien may be recorded prior to the employee proving his entitlement to back pay. If the employee succeeds in demonstrating that he is owed wages by his employer, then the employee would also be allowed to recover attorney’s fees and costs for the legal action. The Division of Labor Standards Enforcement (DLSE) and groups of employees would also be able to record and enforce a lien against an employer’s real or personal property. According to the LA Times, nearly 100 members of the Service Employees International Union (SEIU) marched on a Sacramento office of the California Chamber of Commerce in support of the bill in late April. If passed, it could help employees to have a better chance of getting the money that their employers should have paid to them but failed to provide. 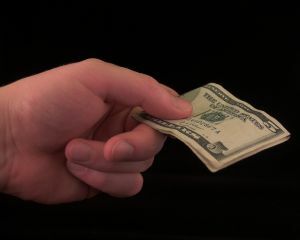 Those who are victims of wage theft and whose employers fail to pay as promised should consult with a Los Angeles employment law attorney for assistance. From 2008 to 2011, the state labor commissioner’s office in California awarded $240 in unpaid wages to workers after wage theft occurred. The SEIU attempted to serve a $240 bill on the Chamber of Commerce as a reflection of the amount of money that workers in the state were being deprived of. AB 2415 is designed to provide broader protection to workers and to discourage employers from engaging in underpaying wages or nonpayment of wages. Supporters of the bill indicated that they were confident that both the labor committee and the Assembly Judiciary Committee would pass the votes. However, the Bill would reach the floor of the Assembly in May or June and a tough fight is expected. A similar proposal died on the floor of the assembly last January. The bill is vehemently opposed by many business organizations throughout the state, including two dozen trade groups that represent virtually every sector of California’s business community. The retailers association, the state apartment association, and both the state and local chambers of commerce have all spoken against the bill. There are concerns that the law, if passed, would be abused because California has complicated wage and hour laws and employees would essentially be able to determine on their own if they were entitled to wages. Employers could also be unfairly harmed because the liens could make it impossible to transfer or sell property or to get a loan by using the property as collateral. There are, however, protections for employers designed to prevent abuse of the law. Under certain circumstances, for example, if employers defeat an action to enforce a lien, the employer may be able to recover its costs if it can prove that the employee’s actions were unreasonable. Further, employees can avoid the lien by obtaining a surety bond.